Ross & Cromarty Roots | Avoch Parish Churchyard. 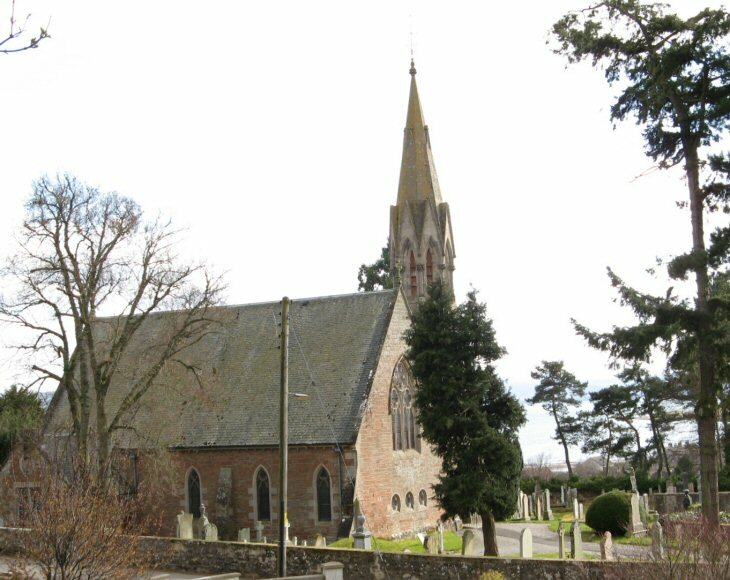 Avoch Parish Church and churchyard sits halfway up the steep road, which strikes inland from its junction with the main road at the Station Hotel. There are fine views across Avoch Bay and beyond. The fates of many buried here reflect the history of the village as the prime fishing community in the Black Isle. There are three large family enclosures; the best maintained is that of Sir Alexander Mackenzie, the explorer. There is also a modern cemetery in Avoch. Picture Added on 31 March 2008. My grannie came from avoch but we only visited as a children, the photo is lovely. Added by Alison on 26 February 2012. Added by Jocelyn Gould ms Mann on 20 April 2014. Many of my mother's ancestors were christened, married, and buried in this church and churchyard. McKay, Fraser, Wilson, Leitch, Mackenzie, Mcdonald, Miller, Reid, Young, and Whyte, plus collateral relations Cantach, Junor, Jack, Davidson, Mclean, More, Mustard, Elder (and likely many more). Looking forward to receiving the transcription booklet from Genfair, and thanks for the internet support that makes viewing possible from Anchorage, Alaska. Added by Cassie T on 02 October 2016.